On behalf of Kelley Joseph of Law Office of Kelley A. Joseph, P.A. posted in Visitation on Tuesday, April 2, 2019. You've been largely out of your children's lives since your divorce. Perhaps you've been living on the other side of the country or even abroad. Maybe you've been in a recovery center getting help for a substance abuse issue. Some parents don't see their children for years because they're incarcerated. On behalf of Kelley Joseph of Law Office of Kelley A. Joseph, P.A. posted in Visitation on Monday, March 25, 2019. If you are going through a divorce and share children with your soon-to-be ex-spouse, you'll want to create both a parenting agreement and visitation schedule. On behalf of Kelley Joseph of Law Office of Kelley A. Joseph, P.A. posted in Visitation on Friday, March 1, 2019. If you have visitation rights with your children, it's important to stick with the agreed-upon schedule whenever possible. Not only does this provide your children with stability, but it also insures that you get to spend time together. On behalf of Kelley Joseph of Law Office of Kelley A. Joseph, P.A. posted in Visitation on Tuesday, February 19, 2019. There is no denying the fact that you want to spend as much time as possible with your children after divorce. This holds true both for the parent who has physical custody, as well as the one who has visitation rights. On behalf of Kelley Joseph of Law Office of Kelley A. Joseph, P.A. posted in Visitation on Monday, January 28, 2019. We all know about joint custody, 50-50 custody and sole custody when it comes to shared parenting arrangements. But there are certain less-than-common ways that co-parents organize their time with their kids. Some of these ways push against the limits of what general society considers "acceptable, normal behavior." 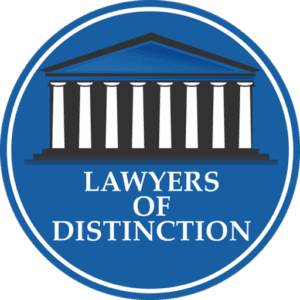 At our law firm, however, we encourage parents to explore all of their options -- and get creative -- to find a parenting solution that works for them, even if others find it to be uncouth or strange. When is the best time to establish paternity? On behalf of Kelley Joseph of Law Office of Kelley A. Joseph, P.A. posted in Visitation on Tuesday, January 8, 2019. Many Florida parents have suffered due to questions about establishing paternity. Often, the one who wants to establish paternity is the father so that he can pursue the right to spend time with his children via regularly scheduled visitations. It might also be the mother, who pursues child custody in order to receive child support payments. Whether you're the mother or the father of a child, the best time to establish paternity is at the hospital, just after your child is born. When can a parent lose child custody? On behalf of Kelley Joseph of Law Office of Kelley A. Joseph, P.A. posted in Visitation on Wednesday, December 19, 2018. Florida family law courts generally want both of a child's biological parents to be involved in that child's care. Shared visitation is generally the preferred method for handling every custody situation -- when possible. What are the characteristics of a non-custodial parent? On behalf of Kelley Joseph of Law Office of Kelley A. Joseph, P.A. posted in Visitation on Tuesday, December 4, 2018. When you're fighting for full physical custody of your child, it means that you want to be the primary caretaker of your son or daughter, and you want the other parent to merely have visitation rights. If you succeed, you will be known as the "custodial parent," and your child will live with you full time. Meanwhile, the other parent will be characterized as the "noncustodial parent" and have the right to visit the child according to a regular visitation schedule. On behalf of Kelley Joseph of Law Office of Kelley A. Joseph, P.A. posted in Visitation on Monday, November 19, 2018. Visitation is a major sticking point in almost every divorce case involving children. No parent wants to lose time with their child, so having to divide time is difficult. On behalf of Kelley Joseph of Law Office of Kelley A. Joseph, P.A. posted in Visitation on Thursday, November 1, 2018. Parents are not always lucky enough to live close to one another. When two parents share custody, but they live a long distance apart, they will need to make strategic use of holiday schedules to ensure that the noncustodial parent -- i.e., the parent with whom the children do not live -- gets to continue spending quality time with children.